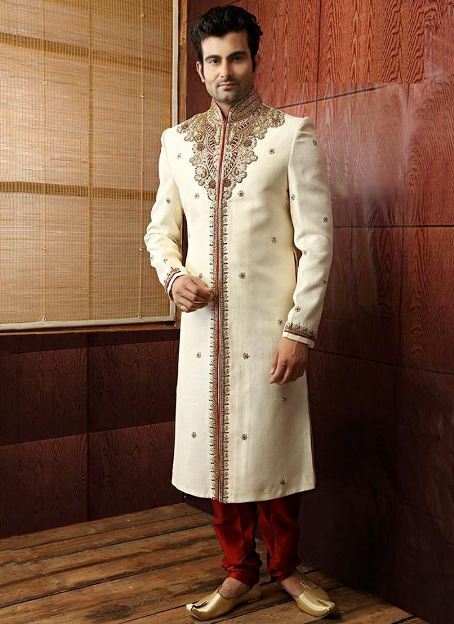 As wedding season come in Pakistan new collections of Designer Latest Sherwani Designs for Men Wedding 2015 are launched after one each other. 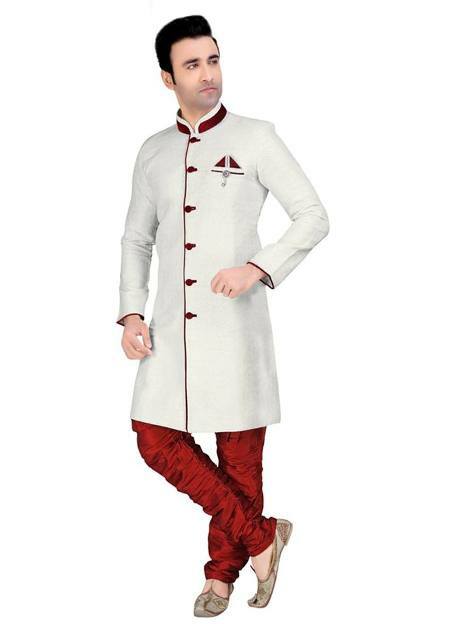 Now a days, you can find a variety of colors in sherwanis. 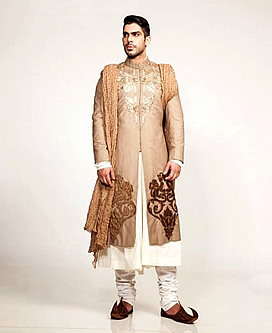 Traditionally skin or fawn colors are worn by most of the grooms. This light colors contrasts well with the bright and heavy bridal outfit. But for more modern look, designers have introduced many dark colors in sherwanis such as black, ink blue, mahroon and brown etc. black looks sophisticated and royal of all. These sherwanis are embellished with intricate embroidery, beads, stones with beautiful kora and khadi work. The fabric is selected according to the season. Usually Pakistani weddings are more likely to take place in winter or autumn season thus heavy fabrics including velvet, jamawar etc are used as a base. 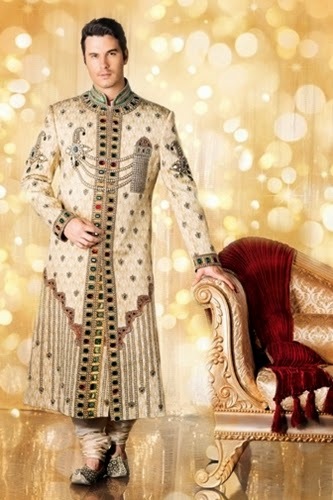 These fabrics make the groom look more royal. On the other hand, for spring and summer season light weight soft silk fabric such as raw silk and kataan silk are used which are more comfortable to wear in hot weather. 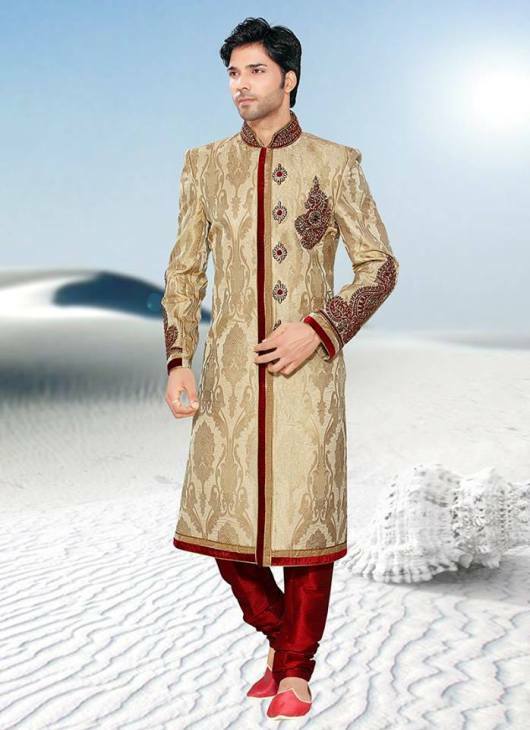 These all designers launch multiple collections of Latest Sherwani Designs for Men Wedding 2015 according to season type. 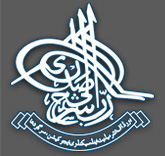 Design and fabric is also changed that are finalize according to like respected season in every of their new arrival. 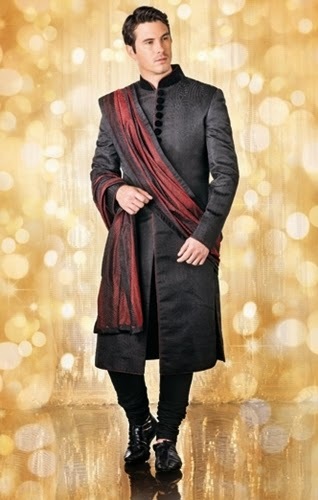 Grooms always going towards these designers collection because they always gives a complete package, dulha find every thing under one platform with best matching. 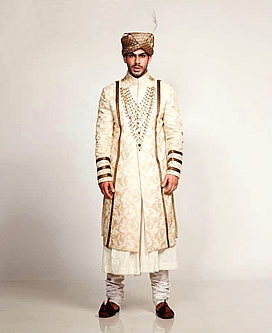 Moving towards matching then a head gear known as “kulah” is worn usually in red, mahroon or skin color in contrast with the color of sherwani or bridal dress in worn by the groom. 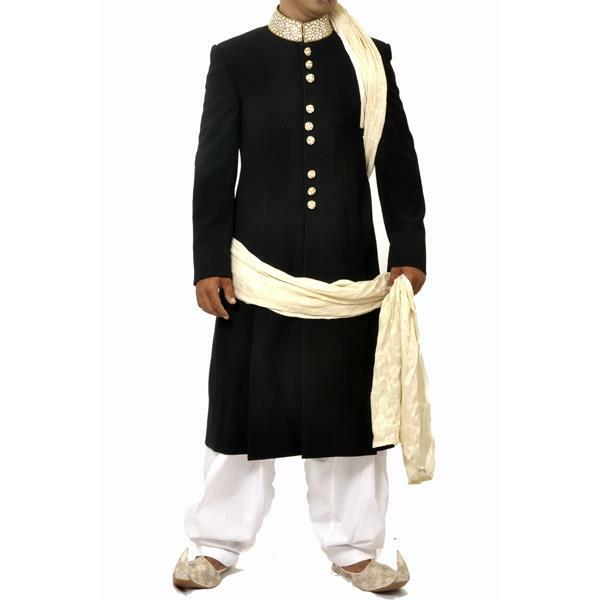 The traditional shoes known a khussa or khari are also designed along with the sherwani to give the groom a complete fancy wedding look. 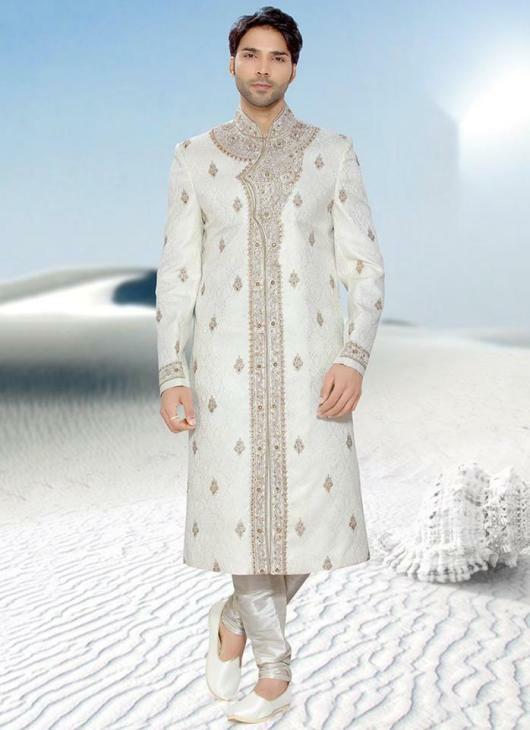 Pictures of these Designer Latest Sherwani Designs for Men Wedding 2015 is in gallery so groom select right option.